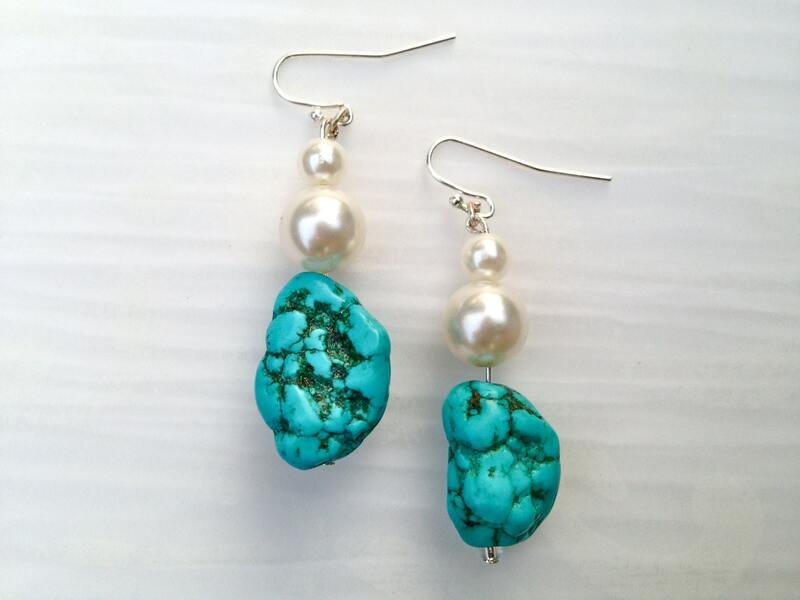 In some Native American cultures, turquoise stands for both water and the sky. At times, it can we can all feel like we’re sinking. Luckily, water is a life-giving substance, healing and cleansing us. Combine this with air and the result is full of life! These earrings are a reminder to breathe. Take a moment to enjoy life, take a break. 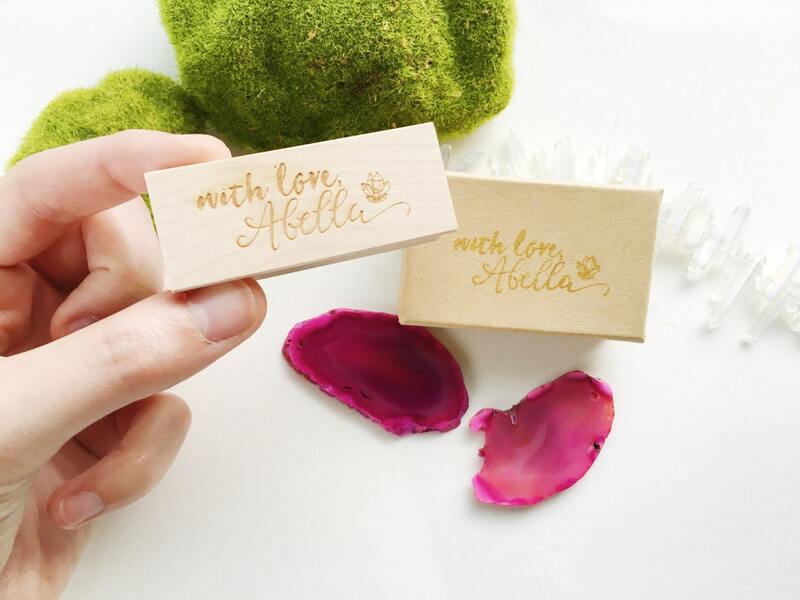 It’s time to accent your favorite outfit with this piece and live like there’s no tomorrow. Of course, there will be a tomorrow.. And you’ll have an adventure then, too! 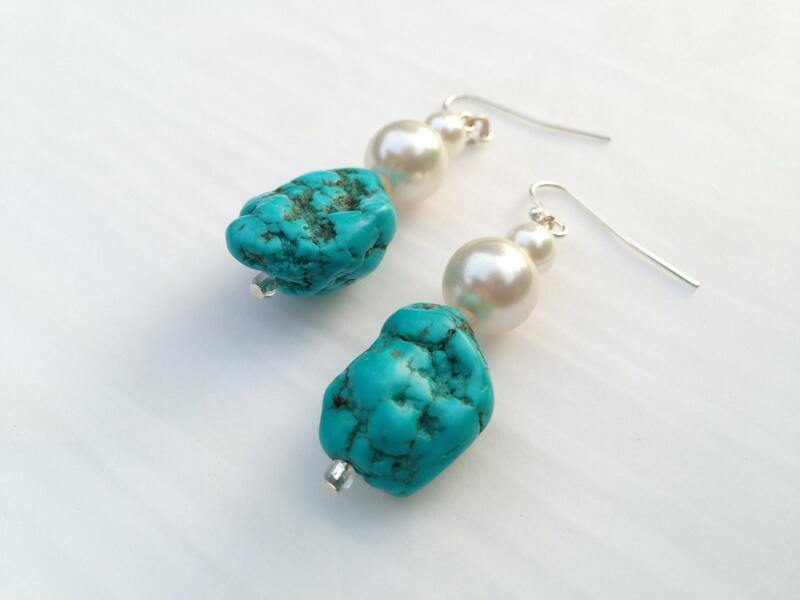 Turquoise beads are accented with pearlescent beads on these Sterling silver dangle earrings. Earring wires are handmade, and each piece of synthetic turquoise is hand selected to insure you receive a beautiful set of earrings. Earrings measure approximately 2" long each.